Macau visitor arrivals and gross gambling revenue (GGR) don't necessarily go hand in hand, but a 27 percent tourism surge during the Chinese New Year is certainly good news. 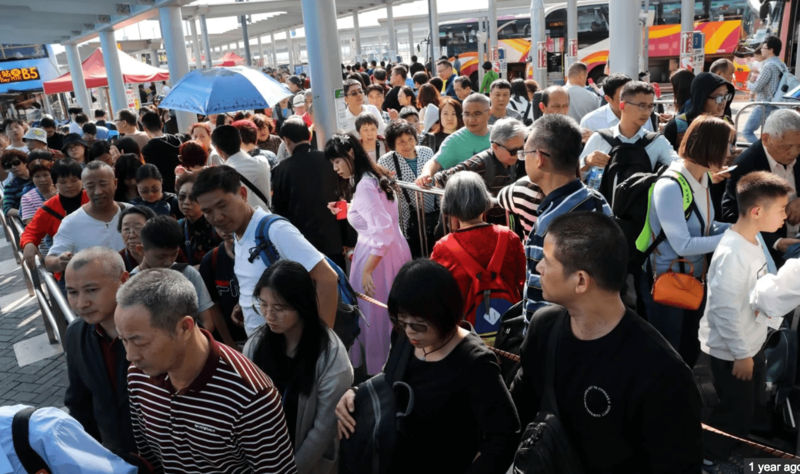 The Macau Government Tourism Office (MGTO) reveals that more than 1.2 million people traveled to the enclave during the Spring Festival Golden Week. The MGTO says 26.6 percent additional tourists were in the Special Administrative Region between February 4-10 this year compared to last year's holiday. Roughly three out of four visitors arrived from the mainland, or 899,000 people. That represents a 27.3 percent increase on 2018. Hong Kong was responsible for the second most travelers with 231,000 (up 34.8 percent). About 23,000 made their way from Taiwan (up 23.8 percent), and all other countries accounted for 59,000 (up 14.2 percent). Casino resorts have been focused more on the general mainlander since 2014 when Chinese President Xi Jinping ordered law enforcement to better monitor VIP junket groups that organize travel to the enclave for the country's wealthiest citizens. Xi believed the schemes were convenient ways for the rich to move money out from under the communist government's control. The suppression on junkets led to GGR falling from $45 billion in 2013, to less than $28 billion in 2016. But after three down years, gaming win has increased in the last two, with GGR totaling $37.8 billion in 2018. The rebound is being fueled by the mass market, as the multibillion-dollar integrated resorts have begun offering an array of attractions that appeal to various demographics: not only the high roller. Spring Festival hotel data from the MGTO reflects just that. Three-star hotel rooms reported the highest occupancy (98.6 percent), and also reflected the largest year-over-year increase at 6.5 percent. Five-star rooms were 97.6 percent booked (up 1.7 percent), and four-star occupancies at 95 percent (up 0.6 percent). Two-star hotels had an 87.3 percent occupancy rate. However, to attract bookings, resorts reduced their rates. Three- and four-star hotels went 2.3 percent cheaper, with respective rates at 1,510 Patacas and 1,599 Patacas ($187, $197). The average five-star room was two percent less expensive at 2,153 Patacas ($266). January 2019 marked Macau's first monthly contraction in more than two years. GGR fell five percent to $3.08 billion. With 27 percent more people in Macau for the 2019 Chinese New Year, expectations are high for a robust February gaming win. Analysts at Nomura predict GGR will grow 10 to 15 percent this month. But forecasts are wide ranging. Jefferies sees only a small one to three percent gain, while Bank of America Merrill Lynch believes casinos will win five percent more this month than they did in February 2018. All of those projections, however, were made before the MGTO travel data for the Spring Festival became known. The MGTO says there are 40,109 hotel rooms in the enclave, and 96.7 percent were booked during the New Year celebration. The recent opening on the Hong Kong to Macau bridge, which reduces auto travel time between the two Special Administrative Regions from four hours to 40 minutes, is another reason Macau casinos are betting on continued visitor arrival increases. The post Macau Visitor Arrivals Up 27 Percent During Chinese New Year, More Than 1.2M Tourists Travel to Enclave appeared first on Casino.org.